Just Free Stuff has a really good giveaway going on for the month of April! 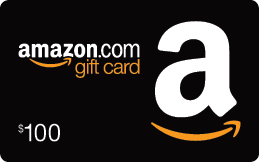 They are giving one lucky winner a $100 Amazon Gift Card this month! For you chance to win simply click on the picture below. Then enter in your email information. The giveaway will end on April 30th and on May 1st one lucky person will be announced as the winner. Good Luck!